Summer is almost, almost here and the sunshine has even made a brief appearance too, so that can only mean the three b's associated with this season, bikinis, beach and booze, are just around the corner! To celebrate this fact, we bring you the launch of rosé ice lollies, an alcoholic dessert hybrid so exciting we could (ice) pop with excitement. Earlier this year we reported the creation of prosecco and champagne push up pops which got our mouths watering, but now fans of the pink fizz can get in on the frozen alcoholic action too - and just in time for summer! 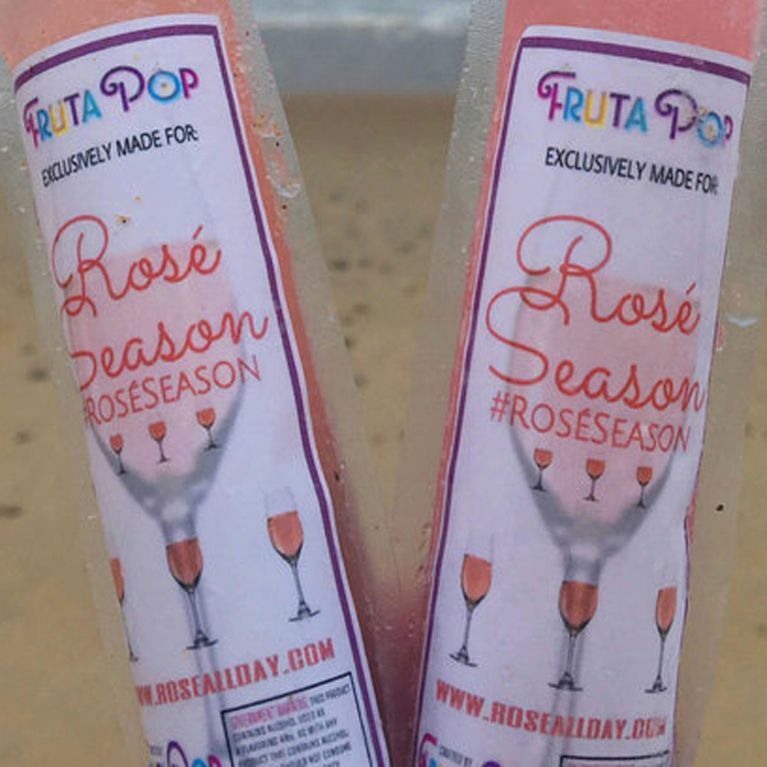 Ice lolly company Fruta Pop have released their own 'poptail,' a rosé infused ice pop lolly made with an impressive 5% alcohol, and now no picnic will be complete without them. Taking us back to the days of our childhood, popping orange Calypso Jubbly ice lollies after school, (remember those?) with a sheet of kitchen roll tied round them to stop our hands freezing (we weren't entirely reckless,) these rosé pops are a a dose of nostalgia and wine in equal measure. The bad news is they're currently only available stateside, but fingers crossed the two mouth watering flavours; Coconut Rosé Sangria and Watermelon Mint Lemonade, make their way to shops over here soon so we can get lolly crunk in time for summer. BUT dry those tears because it's not all bad news, you can still get your frozen pink fizz fix this summer in the form of Frosé, which is basically a grown up Slush Puppie with alcohol in it. See, dreams do come true.